From rustic to regal and primitive to posh, Maryland offers places to stay that tick all the boxes. Pitch your tent at a primitive campsite under mountain stars at New Germany State Park, or take the kids for an outdoors adventure at Yogi Bear’s Jellystone Park (just be sure to guard your pic-a-nic basket!). Spoil yourself with a bayside spa and a day on the links with a stay at Hyatt Chesapeake Bay Golf Resort, Spa & Marina or keep it quiet while you get in touch with your inner foodie at the Bartlett Pear Inn. Wherever you stay, prepare yourself for Maryland charm and the welcome you’ve been waiting for. 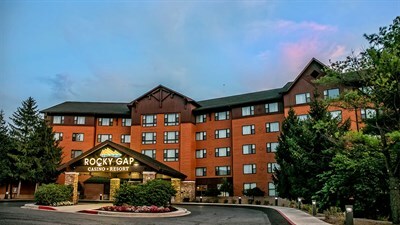 Whether you’re seeking the brisk mountain air of Western Maryland, the fun-in-the-sun of Ocean City, the historical and cultural attractions in the Central and Capital regions, or some quiet time in the southern part of the state, you can find top-notch accommodations close by. From homey Victorian inns to rustic lodges to elegant, art-filled hotels, Maryland has something to suit your lodging needs. Here are 40 places to consider the next time you’re searching for a room, campsite, or cabin to rest your head during your travels. Surrounded by Antietam Battlefield, this Sharpsburg 1804 landmark is close to both Harpers Ferry and the C&O Canal. With beautiful private rooms, full country-style breakfasts bicycle rentals, and battlefield guides this makes a for a perfect escape. Choose from tent and RV sites as well as cabins for rent at this campground located on 222 acres of land in the upper Potomac River valley. It’s the perfect home base for a day of hiking, horseback riding, or boating. There’s even a fishing pond on the property. Spend your day receiving a hot stone massage and an organic herbal body scrub in the spa, or hit the links at the resort’s Jack Nicklaus Signature Golf Course. At night, check out the comedy club, musical performers, and slot machines and table games in the casino, then retire to your luxurious suite. This is living! If you’re looking for that “Zen” experience, stay at this former monastery nestled in the quiet woods of Deep Creek Lake. Sit around the nightly bonfires. Meet fellow travelers in the inn’s common room. Enjoy the complimentary use of bikes, fishing gear, cross-country skis and more. Guests also receive a full breakfast and beverage bar. 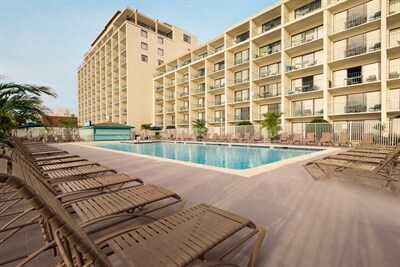 This hotel provides lodging in close proximity to D.C. with budget-friendly rates. 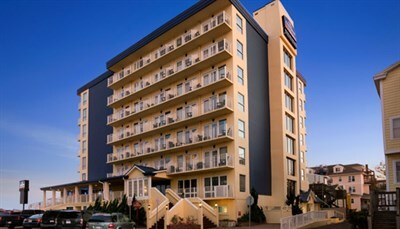 Located near the White Flint Metro Station, a short train ride gets you into downtown Bethesda, Rockville, and D.C. Enjoy on-site dining, a fitness center and a heated indoor pool, plus a concierge level with a lounge that serves up continental breakfast, evening hors d'oeuvres and beverages. A campus-style retreat just 15 minutes from the White House, this center has a free shuttle to the metro station. With 83 acres of land, The Bolger has more than enough to keep you occupied, including nature trails, tennis and basketball courts, bike rentals, a Junior Olympic indoor pool, a team-building ropes course and more. Staying here means you’ve got 30 acres of gardens, woods and pastures all to yourself, as well as the charming, lovingly restored 18th-century house. There are sheep and hens right outside and ample fishing nearby, all located between D.C. and Frederick. Open April 1–October 31. Operated by the same family for five decades, this campground offers several rustic wood cabins with wi-fi and other modern amenities. There are also spots leased yearly for those looking to park their RVs and return weekend after weekend. 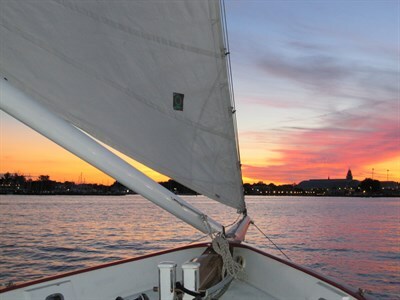 Actually comprised of three boutique hotels housed in buildings dating back more than 200 years, this is quintessential Annapolis, filled with history. The Maryland Inn has hosted celebrities and presidents, and gives guests fine views of the Chesapeake Bay. The Governor Calvert House was home to two former governors. The Robert Johnson House overlooks the Maryland State House and Governor’s Mansion. This hotel was formerly the historic B&O Railroad Headquarters near the Inner Harbor. Both elegant and modern, Hotel Monaco hosts a complimentary wine hour each evening and is situated near tourist attractions such as the National Aquarium, Baltimore Convention Center, and Oriole Park at Camden Yards. 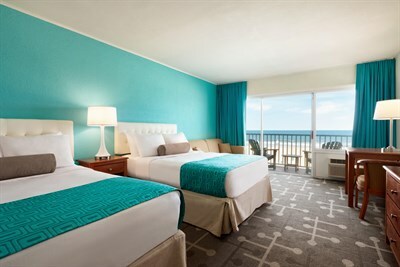 Fancy doesn’t mean it’s not family-friendly, though—the hotel offers bunk bed rooms with video game systems for kids. Pets welcome. This campground is situated close enough to tour either D.C. or Baltimore for a day while still returning to the tranquility of nature at night. With 200 RV spots, numerous cabins and several tent sites, the options are endless. There’s also a fishing pond, swimming pool, mini-golf, and something called a jumping pillow, which sounds like reason enough to visit. Located in one of the “best small towns to visit” (so named by Smithsonian magazine), this B&B spares no detail. There are cozy parlor rooms and five fireplaces in the main house, and a double-occupancy whirlpool bath in the separate carriage house. All this just a short walk from the iconic Concorde Point Lighthouse—which has stood sentry over the majestic Chesapeake Bay since 1827. Sleeping up to nine people, this house sits on a 15-acre crop farm on St. Jerome’s Creek, and provides crab pots, fishing rods and two kayaks for renters. You can stroll out onto your private dock to sip morning coffee, go crabbing, or jump in a boat (if you brought one). You’ll go for the picturesque views out over the bay of Calvert Cliffs, but you’ll stay for the three restaurants and spa. Bring a group out to go fishing on a large charter fleet. There’s also gaming—via video tab pull machines and bingo—as well as an array of other outdoor activities. For a unique place to rest your head, stay in a refurbished lighthouse keeper’s house. 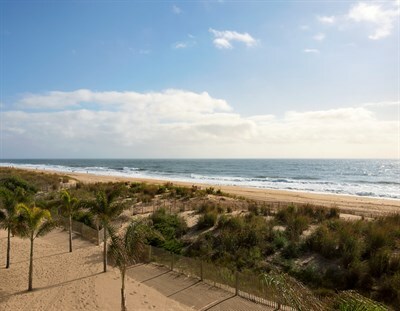 Located at one of the narrowest points of the Chesapeake Bay, the views here are breathtaking. Though the functioning lighthouse still welcomes guests, there’s a private beach for renters. Best of all, revenue from the rental supports the Calvert Marine Museum. For an avid camper, it doesn’t get better than camping right on the edge of the water. This site has 90 RV-ready spots available, plus three bath houses and other amenities. To accommodate boaters, there are three ramps and 250 wet slips available. This 1930's-style French mansion, located on three acres, has been lovingly restored to reflect period details. Start your day off right with a complimentary breakfast (the blueberry muffins get rave reviews from guests), and take advantage of the three multi-purpose rooms and peaceful gardens surrounding the property that make for a quiet retreat. 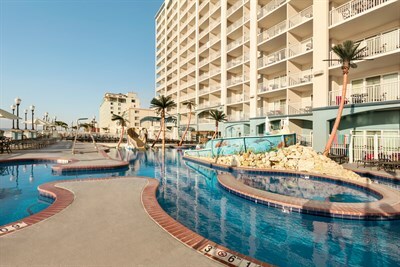 Water and nature lovers will find paradise here. Take a relaxing walk on the nearby trails through meadows and forests, then return to your guest room or fully-furnished private cottage. Visit the nearby Waterman’s Museum and learn about one of Maryland’s most vital and historic industries, then stop at Waterman’s Crab House and Dock Bar to taste the succulent seafood resulting from that labor. These sophisticated rooms in 12 distinctive suites have one thing in common: the awe-inspiring views of the Bay through their expansive windows. There’s also easy access to Fager’s Island Restaurant, which has an extensive craft beer menu and second-to-none sunset views. On the Choptank River in Cambridge, this 400-acre resort gives you access to one of the state’s best golf courses, The River Marsh Golf Club, as well as one of its most charming towns. This stunning waterfront property, first built in 1820 and refurbished, sits on 220 acres of farmland, woods and waterfront, with 24 guest rooms. Wander the grounds for picturesque water views and gardens. The inn provides a fresh complimentary deluxe continental breakfast for guests, and there’s a Sunday champagne brunch buffet, too. This inn is located in four historic houses. Take a short walk to nearby shops and restaurants, or spend the day exploring the Chesapeake Bay on a charter boat. 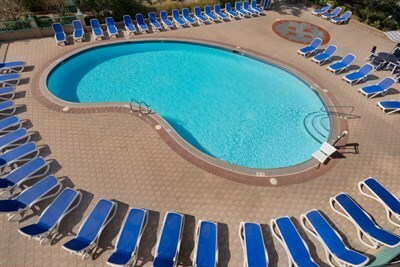 Go for a swim in the indoor pool, then stop by the sauna and steam room. Your four-legged friends can join you in one of the pet-friendly rooms. Visit off-season and take advantage of their special off-season packages. Nestled among the shops and restaurants of Hunt Valley with a plethora of golf opportunities, this welcoming retreat is nestled between downtown Baltimore and Maryland’s rolling horse country. Put the car keys away and get ready to relax because the Deep Creek experience brings you back to nature. Choose from a plethora of rental properties from companies including Railey Mountain Lake Vacations and Taylor-Made Deep Creek Vacations. Coldwell Banker Deep Creek Realty’s Water’s Edge is aptly named, as the lake gently laps at the property’s dock. Walk to nearby shops and restaurants, or grill some dinner and chill out by the fire pit. For true tranquility, enjoy the stunning views from Cabin in the Woods. After a long day of boating or skiing, spend the evening star-gazing from your hot tub. 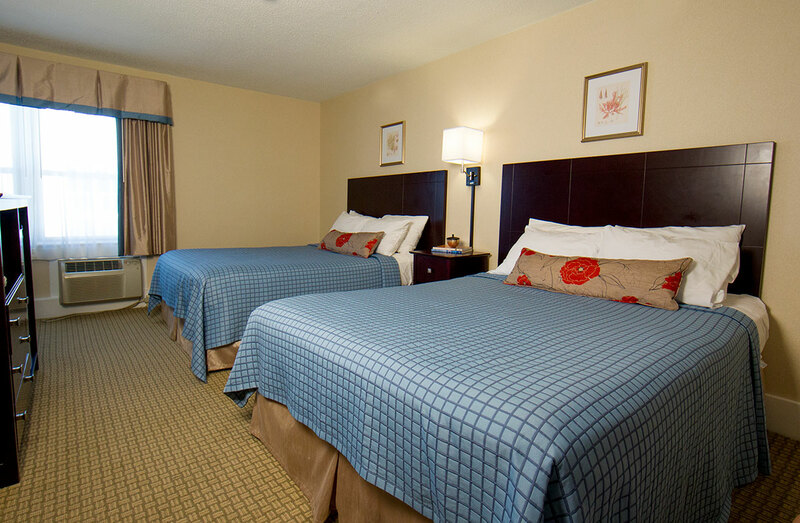 State of the art elegance, just minutes from Washington DC and in the heart of College Park, The Hotel isn’t just an ideal spot for visiting the kids at college, it’s an escape unto itself. Luxuriate at The Red Door Salon & Spa by Elizabeth Arden. Enjoy sophisticated cocktails and unforgettable small plates at The Grand Lobby Bar. The Hotel at The University of Maryland raises every bar and clears them. From October through mid-March, campsites are available first-come, first-served, making Assateague National Seashore a perfect spontaneous getaway for early-birds. Let the sounds of surf and sea carry you to sleep. Let the unforgettable vistas dotted with the island’s famed wild horses inspire you to a day’s adventure. And check nearby NASA Wallops Island’s rocket launch schedule for a truly out of this world experience. The Lodge at Wisp is the perfect luxury basecamp for your Deep Creek getaway. Whether it be a fall foliage trip with days spent at McHenry’s famous Autumn Glory Festival, a late season lake getaway, or an adventure on the slopes, with its range of rooms, cozy fire places, and expansive outdoor and indoor spaces, The Lodge is where memories are waiting. Snuggled into the pine trees on the sandy shore of the Potomac River, Camp Merryelande (yes, with three “e”s) is an island escape just a short drive from Baltimore and D.C. 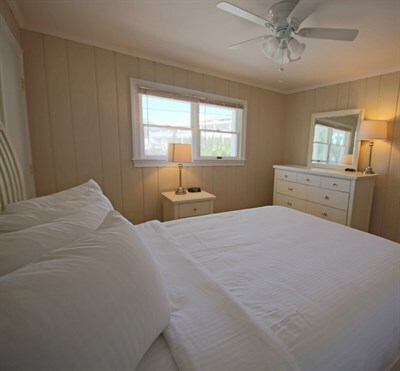 Located on St. George’s Island in St. Mary’s County, you can choose a campsite on the beach, or one of the fantastic cabins, the largest of which can accommodate up to 24 guests. At Camp Merryelande, the extra “e”s are for excellent! Combining ultra-fine dining, next-level luxury, and stunning Baltimore views into the refurbished, historic Baltimore Rec Pier building in the heart of Fells Point, there is no better way to take in Charm City than with a stay at the Sagamore Pendry. In the heart of one of Baltimore’s most charming, walkable neighborhoods, and with an on-site water taxi dock to explore the city, the Sagamore Pendry is a can’t miss. Outside magazine called the Smith Island Inn one of its “28 Best Trips of 2016,” and it’s little wonder why. With stunning views from this harbor front vista, a stay at the Smith Island Inn means becoming an islander for a few days and letting embracing the beauty of the Chesapeake Bay. 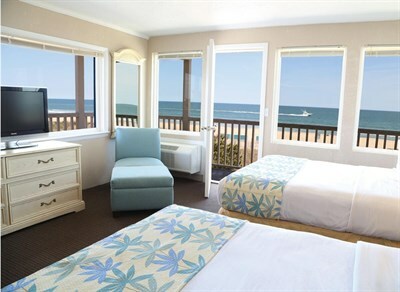 Book one of the stunning, bayfront suites at this Fager’s Island getaway for a unique perspective on OC. 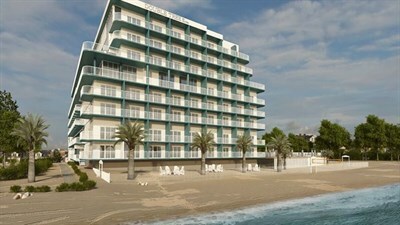 Escape for one of their winter romance and relax island escapes, or the famous New Year’s Eve Party Package. Or just make it that serene escape on your beach week adventure. You can’t go wrong at The Lighthouse. Victorian charm meets downtown Frederick fun at this historic B&B. Just a quick stroll to Frederick foodie favorites Volt, Vini Culture, and Meze Lounge, 10 Clarke is a dining getaway all its own. The second “B” in this Bed & Breakfast is one to write home about with decadent suites, fresh local meats, cheeses and dairy. It is the true taste of modern Frederick. Set right on the famous brick promenade of Baltimore’s beautiful Inner Harbor, this hotel offers stunning views of the National Aquarium. Take advantage of the prime, walkable location to explore some of the East Coast’s best eateries, and use the Water Taxi to explore Baltimore’s waterfront charms. All that, and the sophisticated comfort only the Four Seasons can deliver. Simple, old-school, and awesome. 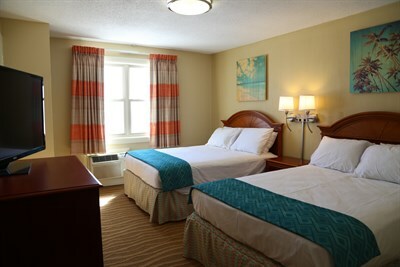 If you’re looking to get away to Rock Hall, the Mariners Motel is perfect for families looking for a great place at a reasonable rate. Fishermen and outdoors enthusiasts will love the Mariner. It’s the perfect spot for Rockfish season, located right next door to the Rock Hall Marina. And after a long day on the water, the beautifully landscaped gazebo, complete with grills, is the perfect place to unwind. Gorgeous, romantic, and home to truly world-class hospitality, there’s nothing else like The Ivy Hotel, Maryland's only Relais & Chateaux hotel. Situated in an historic Mount Vernon Mansion, you’ll enjoy intimate spaces, a luxury spa, and Magdelena, one of the Mid-Atlantic’s finest restaurants. If you’ve never made the trip to Chesapeake City, a historic, walkable town on the banks of the Elk River, you need to change that soon. And there’s no better place to stay than the Inn at the Canal. This seven-room Victorian B&B is just steps away from the Ben Cardin C&D Canal Trail, and an easy stroll to Chateau Bu-De, where classic French cooking meets unforgettable Chesapeake flavors. Plan your trip now! Since 1895, Hotel Atlantic has been welcoming travelers and sending them home with unforgettable memories. 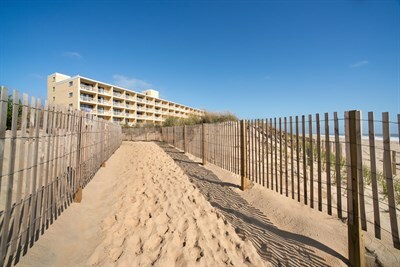 Nestled in the heart of “The Coolest Small Town in America,” and just a quick trip to Ocean City fun, Assateague escapes, and off-shore fishing adventures, the Hotel Atlantic is the perfect place in the perfect place. Ripken may be the most famous name in Maryland, and Cal and Billy’s baseball gem in Aberdeen is a good part of the reason. Home of the annual Cal Ripken World Series, some of the world’s best junior baseball clinics, and of course Ripken Stadium and the Single-A Iron Birds, the complex is a baseball lover’s dream. 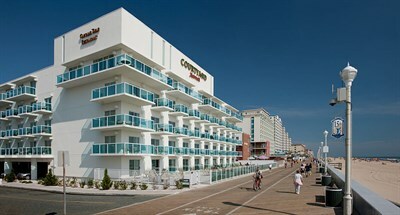 And the hotel is no exception. Modeled after the famous brick warehouse in the outfield of Baltimore’s Camden Yards, Ripken Stadium Hotel isn’t just up-close, it’s part of the experience. 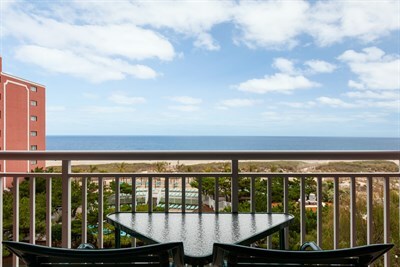 With a spa, golf club and proximity to outdoor activities, this resort has something for everyone. 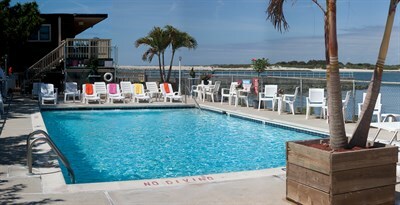 Take in the tranquil water views at this popular Eastern Shore inn. Get back to nature with the family (and have fun in the waterpark too!). Make this your home base for exploring Bethesda, Rockville, D.C. This 5-star hotel is right on Baltimore's Inner Harbor and blocks from Camden Yards.